Delta Membranes worked with Kings of Essex to provide a waterproofing solution for a luxury new-build home in North London. 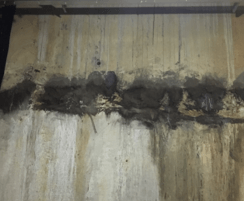 The property, which had over 17,000 sq ft of accommodation, was experiencing high volumes of hydrostatic water pressure causing severe water ingress through construction joints. 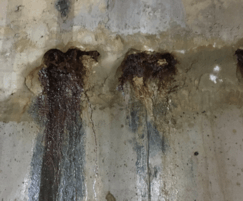 The building had been constructed at a lower level than neighbouring properties adding to the hydrostatic water pressure issue. In addition, it had been built without a waterbar / hydrophilic strip which expands to slow down / stop water ingress. The property, when built, incorporated a cavity drain membrane system (not Delta’s) and sump pump units. 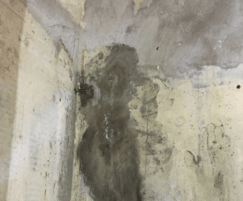 However the basement electrical intake room had flooded creating significant health and safety risks for the occupiers of the property, leading Kings of Essex to take immediate remedial action. Phase 1: to ensure the property was made safe from electrical dangers. Phase 2: to stop the water ingress. 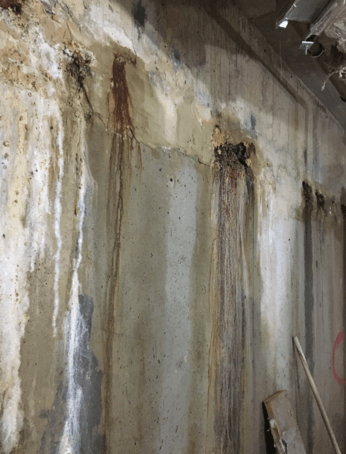 Once the structure had been stripped back to its concrete core, the water ingress to construction joints was addressed. 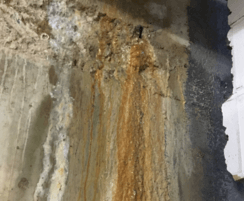 A waterbar / hydrophilic strip could not be retrofitted so Delta Membrane’s technical consultant Paul Callaghan recommended using the Koster brand of concrete repair solutions to limit and slow down the water ingress experienced. 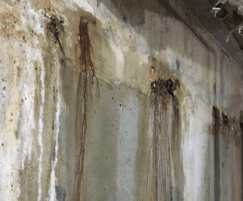 Sealing construction joints by applying Koster KD 2 Blitz – waterstop to the construction joints to prevent water ingress and seals off pressurised water from the negative side. Applications of Koster NB1 and Koster Repair Motar Plus as a secondary line of defence. The next phase of the project would be for installation of additional sump pump stations using Delta’s MS20 throughout the structure for managing future water ingress issues - its 20mm stud is ideally equipped to deal with the volume of water ingress. The owners were very happy with Paul’s understanding and no nonsense approach. 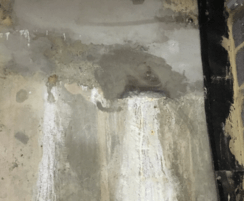 His on-site attendance and eye for detail were exactly what was needed for this project and the waterproofing system has nullified water ingress.